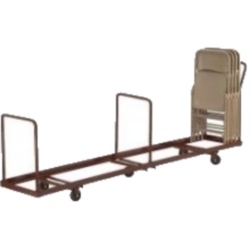 Free shipping when shipping this folding chair storage truck to the contiguous 48 United States. 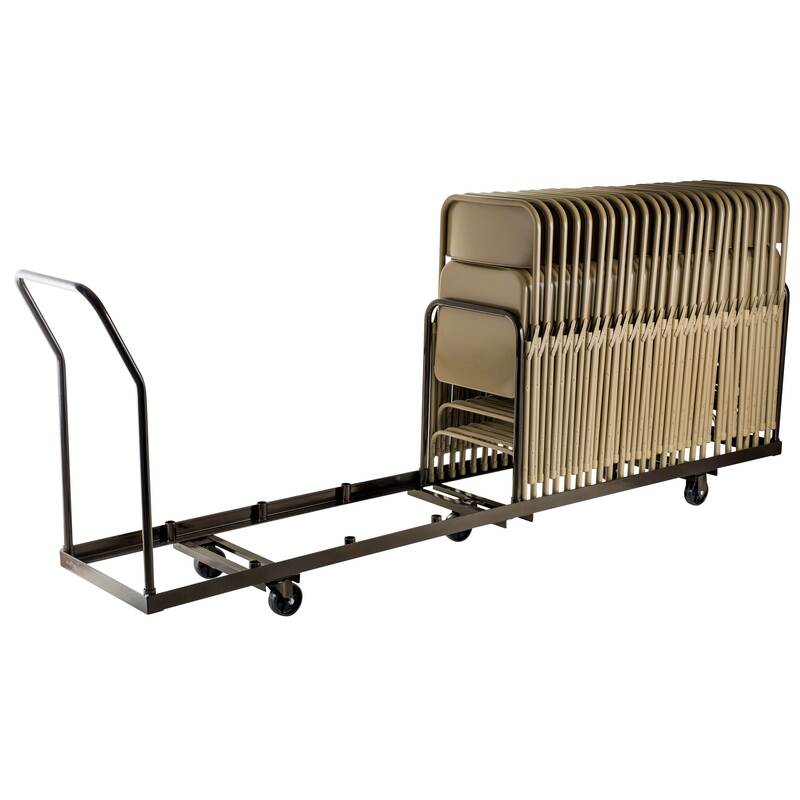 The DY50 chair storage cart features a large steel body that is powder coated to help resist rusting. This chair truck is designed for National Public Seating metal folding chairs, but can fit other manufacturer's chairs as well. 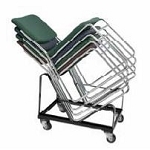 Storage capacity varies on model and make of folding chair. Please see the chair storage capacity chart below for storage estimates. If you need a smaller cart, please view DY35 Storage Chair Truck for a smaller version of the DY50. If you find the model of chair truck for cheaper anywhere online, please let us know. We will match or beat most any online price. Fast Shipping: Orders for the National Public Seating DY50 generally leave the warehouse within 2-4 business days.